After the band’s successful promotion from the second section in 2017, this was the band’s first contest of the year in the first section. After months of hard work, we hoped for a good result, enabling us to carry on building towards the future and to hopefully one day regain championship status! The “Beast From The East” was not enough to dampen the true Yorkshire grit of the bandsman. 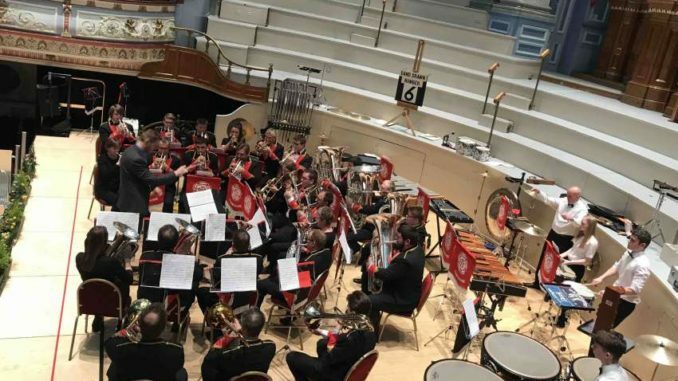 The Yorkshire Regional Brass Band Championships were held once again at Huddersfield Town Hall. The band played well and were very happy to achieve fifth place in the first section, under the expert guidance of MD Richard Larder. Here’s to 2019!